Finished quilt measures 34" x 52". Don't have enough floor space to put a Christmas Tree? 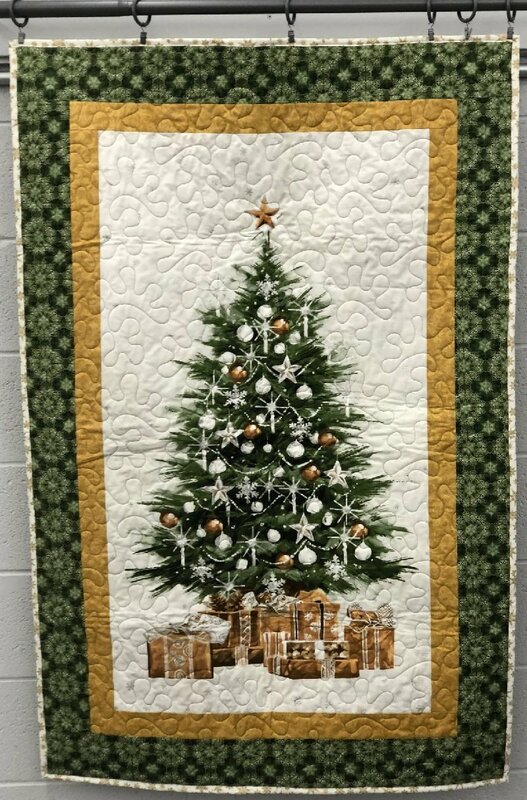 This perfectly sized wall hanging will add a nice seasonal touch this holiday season. Finished quilt sold as is - was used as a store sample.